Plants form a low mound of deeply-cut green leaves, bearing tall spikes of satiny flowers. 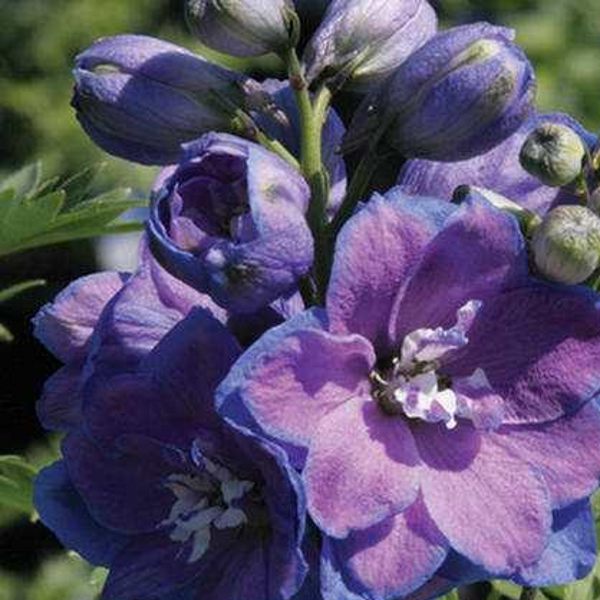 This mid-sized selection has deep-blue petals and strong stems that are great for cutting. Sowing - GREENHOUSE Sow in Jan. or early Feb. Freeze seed for 24 hrs. just before sowing, to break dormancy. Germinate in cool soil at 54°F/12°C for 20 days. High temp. will prevent germ. Grow seedlings cool, at 60°F/16°C days and 50°F/10°C nights. DIRECT SOWING: Sow outside in late August in cool soil. Freeze seed 24 hours before sowing. Do not pinch out.